Would you like to own a little piece of heaven? This fly-In opportunity is for those who love the wilderness! Enjoy the wonderful wildlife and peaceful environment here! 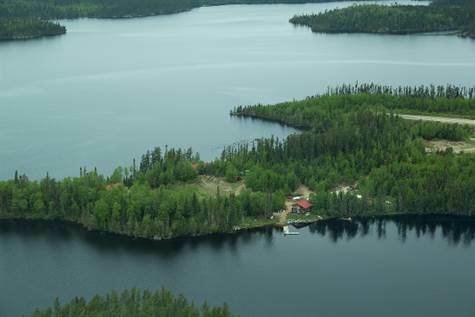 A 25 min flight from Sioux Lookout will land you in the beautiful wilderness of Delesseps Lake. This area is designated for a life park so no future development, mining or forest harvesting is allowed here. This resort is constructed of natural logs except for the sauna which burnt and was rebuilt in 2014. An American Plan Resort but has housekeeping facilities as well. Great fishing, many trophy Walleye & Northern Pike caught here! See wildlife at it's best! A fully 5 star serviced resort with septic and water systems in place. There is also internet and telephone service available. Complete with backhoe, crawler, dump truck, 3 generators, boats and motors to keep this place running for years to come. Call John Ladouceur for more details.